Obituary for Erika Helene Naugle | Lochstampfor Funeral Home, Inc.
Erika Helene Naugle, Age 80, of Blain died peacefully December 4, 2018. She was born January 7, 1938 to Walter and Johanna (Wagner) Kaseberg, in Catskill, New York. Surviving are her husband Dean Arthur, her sons Walter Dean and Timothy Edward (Lisa K. Seaman), all of Blain. Grandchildren include Dylan, Kimberly (Joseph Smith), Dana (William Oberman), Cory. Great Grandchildren include a girl, Andi Oberman, Matthew and Adam Smith. She was preceded in death by her mother and father. She was an only child. She was a long-time adult leader of the Boy Scouts of America, baked award winning pies and enjoyed traveling with her husband and their dog. 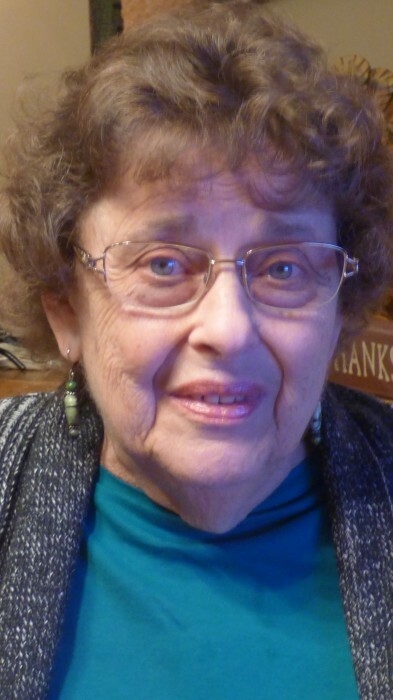 She loved genealogy, feeding and watching the birds and taught many levels of classes at church. A memorial service will be held at the convenience of the family and will be held at the Church of Jesus Christ of Latter Day Saints, New Bloomfield. Arrangements entrusted to the Nickel-Lochstampfor Family Funeral Home Inc. www.nickelfuneralhomeloysville.com.